While in San Luis Obispo (located about 3 1/2 hours north of Los Angeles) on business, I decided this would be a great time to pick up my ninth mission on my mission to hit all the missions. It would be my first of three missions to see this week (I’m getting there slowly but surely). 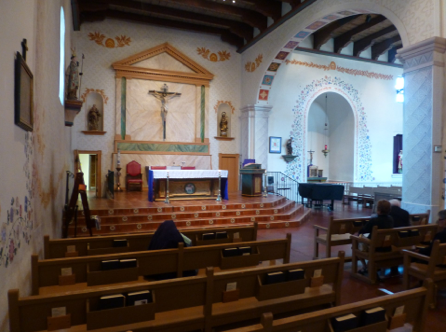 Although not in my top echelon of missions visited, Mission San Luis Obispo de Tolusa still was a pleasant, albeit pretty short, visit. 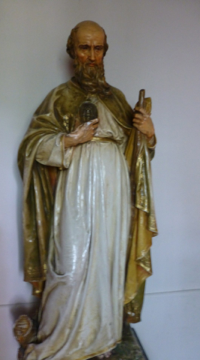 It is named after Saint Louis of Anjou, the bishop of Toulouse, France. 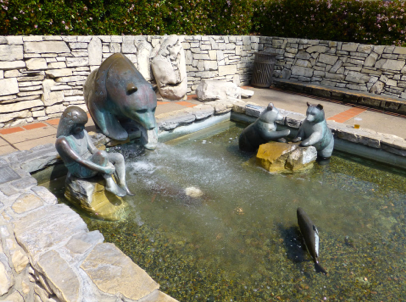 One of the first things you notice as you walk up to it from the Mission plaza below is a fountain with a very noticeable bear. In 1772, Gaspar de Portolà discovered San Luis Obispo on a journey trying to rediscover the Bay of Monterey. 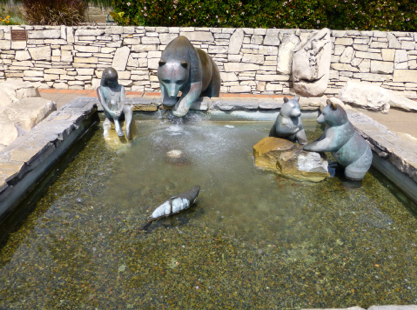 The town got its nickname as the la Cañada de los Osos (“Valley of the Bears”) by diarist and padre Juan Crespí. 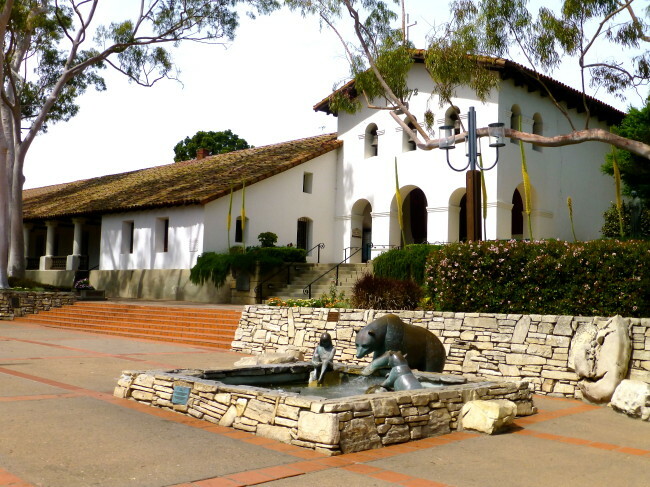 The city was fairly soon forgotten ,and when food supplies became scarce, Father Junípero Serra remembered the name Valley of the Bears. 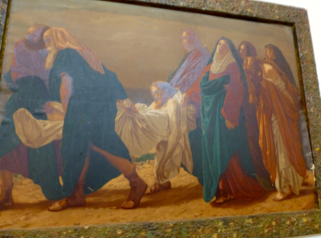 He sent out some hunters on expeditions to kill the bears in order to feed the Spanish and the Indians that converted to Christianity (called Neophytes). In all, more than 25 mule loads of dried bear meat and seed was sent north to relieve the missionaries, soldiers and neophytes. 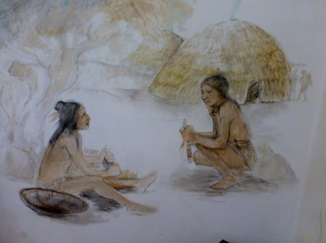 Serra also believed he could rely on the locally friendly Indian tribe, Chumash, for help in building the mission. 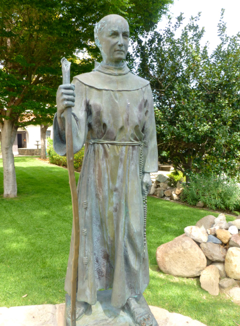 Mission San Luis Obispo de Tolusa is the fifth in the mission chain constructed by Father Serra. 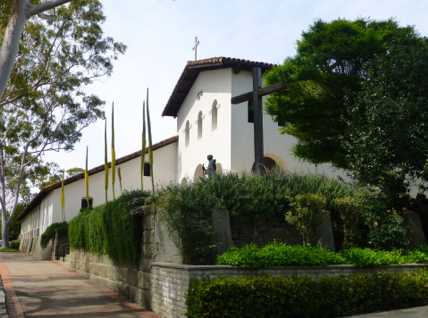 You enter the museum area of the mission through the gift shop (no charge to visit, but a donation of $3 is recommended). 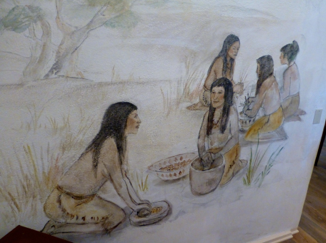 The first room has various Native American displays and paintings on the walls that represent Indian art and various aspects of their life. 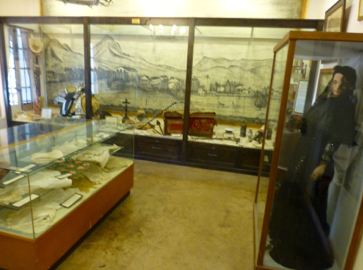 There a few rooms containing artifacts from the early years of the mission. 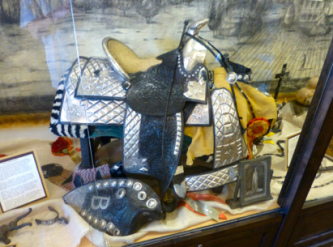 They included a lace maker’s chair and a very cool saddle. 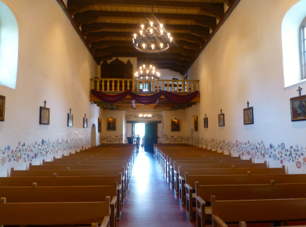 Earthquakes, fires and Native American revolts against the mission means there is not a lot left of the original mission, but replicas of what life was like back then are shown in replicas. 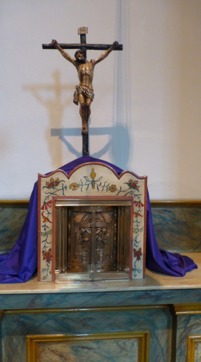 The tabernacle, however, is original. 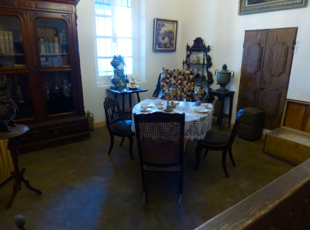 There was a replication of what the dining area in the priest’s quarters would have looked like. 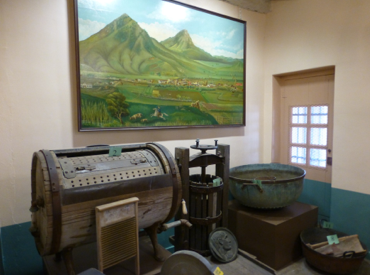 There was also a room that contained an olive press, washing machines and other old style equipment that kept the mission up and running. 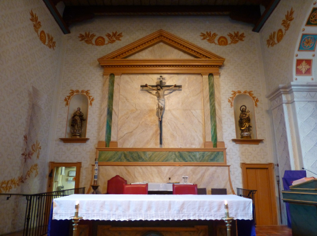 Next stop on the self-guided tour is the church. 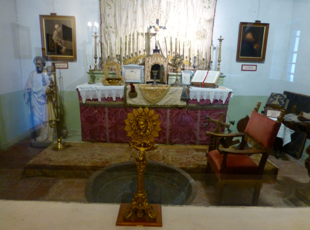 This is one of the better lit churches of all the missions I have visited, which makes for a little better photography since, of course, no flash is permitted anywhere inside the mission. 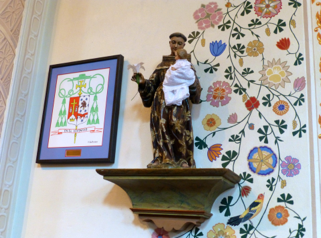 Some of the artwork dates back as far as the 18th century. 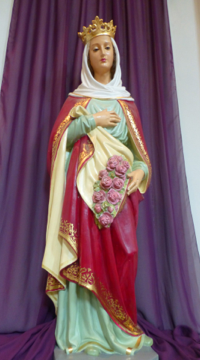 One of the pieces included Mary with Jesus. 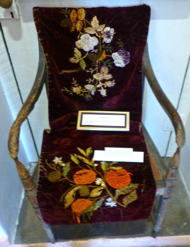 There are alcoves filled with these treasures. 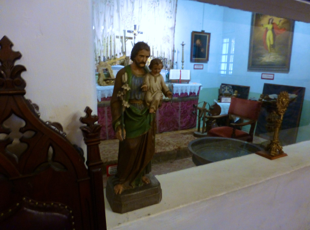 As you wander, there are paintings and statues at every turn. 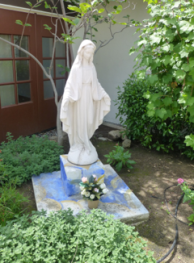 Once back outside, on the side of the church, is a lovely garden area. You will also notice some bells. 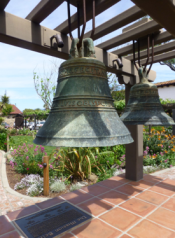 I read that Father Serra transferred bronze bells from the Jesuit Missions in Baja to missions in Alta California. 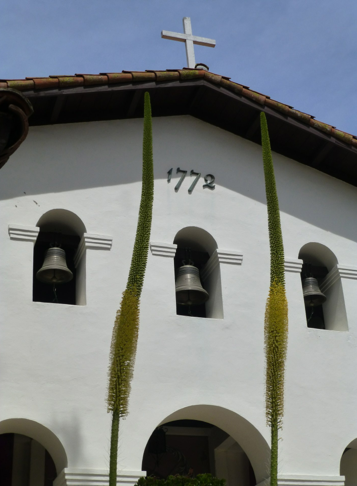 Thus began the tradition of bell ringing. 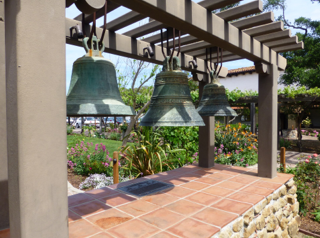 Most if not all of these bells were lost over the years, but Mission San Luis Obispo de Tolusa decided not to let that tradition die easily. 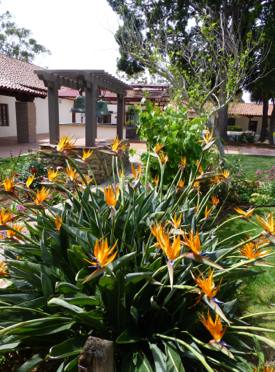 In 1820, some mission bells were made in Lima, Peru and shipped here. 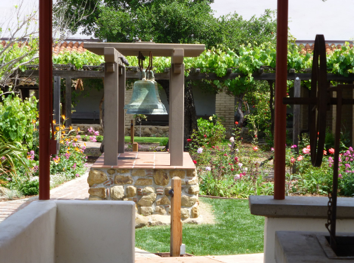 The largest bell (named “Gloria”), was placed in the center, with Joy and Sorrow on placed on either side. 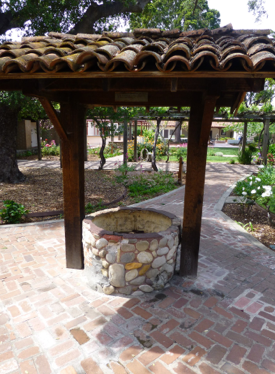 The garden made for a peaceful end to the mission tour. 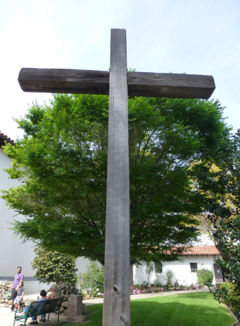 Walking back to the car I passed the requisite statue of Father Serra and the large cross to the side of the church. 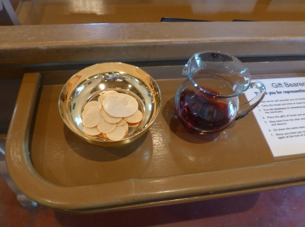 The self-guided tour took about half an hour and is worth the effort if you’re in the area. 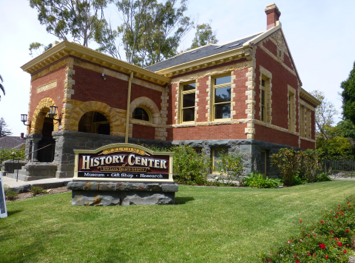 Across the street was the History Center of San Luis Obispo County Museum. Nothing really held my interest inside, but it was free, and the building is nice from the outside. Visiting here reminds me of the old saying that you can mix business with history…or something like that.